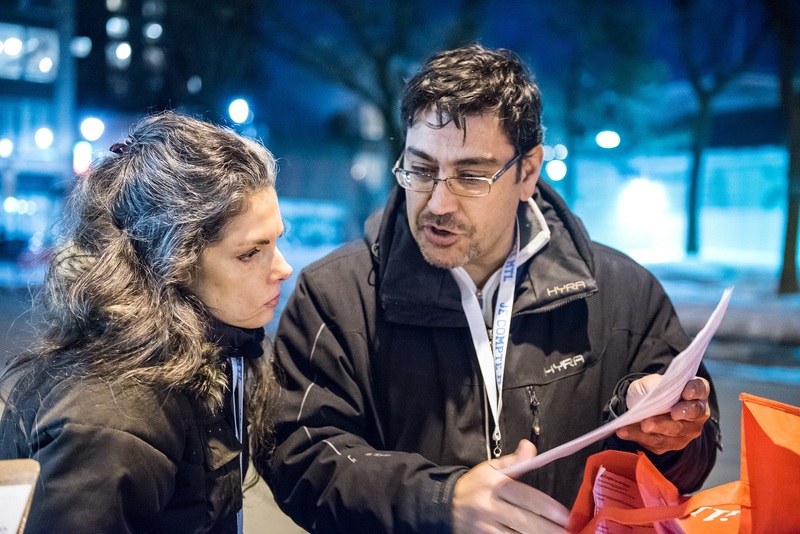 The results of the homeless count I Count Montreal 2015 from March 2015 as well as those of the complementary study from last summer are now publicly available. We believe now is an opportune time to review what these exercises have taught us, as well as to highlight their relevance and why it is important to continue them. The fact that 3,016 homeless people were counted on the night of March 24, 2015 led to some strong reactions. Prior to the homeless count, we regularly heard that there were 30,000 homeless people in Montreal. The source of this number was the homeless count led by Louise Fournier and her collaborators in 1996-1997. This study, completed over the course of one year, counted 28,214 people who had used either the temporary housing and shelter system for homeless people, soup kitchens, or day centres for homeless people. Among these people, 12,666 identified as having been homeless for at least one night over the course of the 1996-1997 year. The other 15,548 others had not been homeless during that year. The number 30,000 should therefore never have been referenced as the number of people experiencing homelessness during one year. Rounding up, the number should have been 13,000. This number is nevertheless much higher than the 3,016 that was obtained during the homeless count on March 24 2015. But the two numbers are not comparable, mainly because Louise Fournier’s study sought to identify the number of homeless people over the course of one year, as opposed to one night as was the case with the most recent homeless count. As every person who works in the homeless service system knows, over the course of one year, we find chronically homeless people, others experiencing episodic homelessness (meaning they are homeless at some times but not others), and others still who are transitionally homeless (meaning they are homeless for a limited time, which can be a few months, a few weeks, or even a few days). This reality of homelessness means that there will be many more people who are homeless over the course of a year than those who are homeless on any given night. The estimation of 3,016 is the result of a number of different data sources. As is described in detail in Table 3 of the homeless count report, we estimated that 429 people spent the night outdoors. The other 2,587 were in other locations: 1,066 in shelters, 1,041 in transitional housing, and the rest in hospitals, detention centres or detox facilities in and around Montreal. We very carefully identified, contacted, and interviewed all of these resources (over 100) between April and June 2015. We had excellent collaboration from these resources and we believe that these numbers are very reliable. Regarding the 429 people who spent the night outside on the night of March 24th, as we indicated in the report, we believe that this number is an underestimation for a number of reasons. In particular, it is certain that people who spent the night of March 24th in a hidden place, in a park that we did not visit (Mount Royal, for example), or in a space such as a peep show or crack-house, and who did not reveal this information to a volunteer in a day centre on March 25 or 26th, were not counted. This is a limitation of all homeless counts. The number 3,016 also excludes hidden homelessness. We are certain that many people staying with someone else or in rooming houses, notably women, are very vulnerable. However, at this moment, there is no practical method (aside from a census of the general population) to enumerate this population with any precision. Considering these limitations, the estimate of 3,016 people who were visibly homeless for one night includes groups that homeless counts in other cities ignore: for example, 199 homeless people from Montreal who are currently in substance abuse treatment facilities outside of Montreal. The number 3,016 includes more categories than the numbers that are produced by other cities. The first goal of the homeless count is to be able to describe the current state of homelessness, and to follow its evolution over time. In repeating the exercise at regular intervals using a comparable method, it will be possible to trace the evolution of homelessness in Montreal both in terms of the number of homeless people, and in terms of their characteristics. How many people are chronically homeless, what are their characteristics, and how do these variables evolve over time? Are there more elderly people, aboriginal people, or immigrants experiencing homelessness? Are different programs and measures successful at reducing their numbers? The count also makes is possible to compare the situation in Montreal with that in other cities. Despite the fact that the number 3,016 was reached through more comprehensive means than what is done in other cities, we observe that, per 10,000 residents, Montreal counted relatively few homeless people on the night of March 24, in comparison with other Canadian cities: 15.4 people per 10,000 residents, which is less than Toronto (18.8), Calgary (29.7) or the City of Vancouver (28.1). This is good news. However, the 429 people who spent the night outside in Montreal represent 2.2 people per 10,000 residents, which is more than Toronto (1.6) or Calgary (1.5), though it is less than the City of Vancouver (8.4). As homelessness is a complex phenomenon, it is necessary to employ many types of different interventions to fight against it. And to do this, we need accurate information regarding the characteristics and the evolution of the homeless population. Obtaining this information was the second important goal of the homeless count and of the complementary study. The data gathered from over 2,500 questionnaires bring to light a great deal of information regarding women, aboriginal people, youth, chronically homeless people, people who sleep on the streets and people who sleep in shelters or transitional housing – regarding their needs in terms of housing, the services that they use, their health needs, etc. Among the many results that point to helpful interventions, we highlight two. First, homeless people who sleep outside are different from other homeless people in many ways. A good portion of this population does not use shelters and therefore does not have access to their transitional programs. They have more significant difficulties with drug or alcohol consumption. Around 42% have been chronically homeless for 3 years or more. They have more frequent contact with the police. Given the needs of these people and their relatively high number in Montreal, supporting them in their search for long-term solutions to their housing, health, or justice related difficulties should in our opinion be a priority. Secondly, approximately one third of the homeless population has spent time in a youth detention centre, or for older people in equivalent resources. This suggests the need to put into place interventions that are targeted at helping at-risk youth to avoid homelessness and to better integrate into society. The homelessness count has another great advantage: it is a powerful communication tool. The media, the general public and politicians often respond to numbers, which are perceived to be more neutral than purely qualitative descriptions. The results of homeless counts and surveys can be used by organizations to justify the importance of their actions to their funders, in way that is complementary to quantitative data. They can also anchor policy discussions. The homeless count and the complementary study have shed new light on homelessness by providing detailed numbers and profiles. Future homeless counts and surveys will allow us to track our progress and to adjust our interventions accordingly. Laurence Roy, PhD, Douglas Hospital Research Centre, West Island CIUSS and School of Physical and Occupational Therapy, McGill University.